The book of lore Diablo III: Book of Tyrael bridges the story between the end of the Diablo III game, and the start of the upcoming expansion Reaper of Souls. The book was scheduled to be released on October 29, but now it looks like it will be available next Sunday, on October 6. 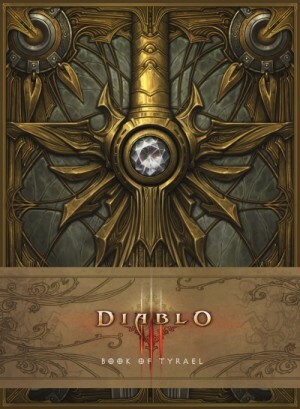 The book continues providing the backstory and notes about the world of Sanctuary last seen in Diablo III: Book of Cain. The new book continues from the point of view of the former angel Tyrael, now mortal and living in Sanctuary. There is also a special event coming up at the New York Comic Con, where attendees can get a copy of the book autographed by some of the book's authors. For everyone else, it can be ordered at a discount from Amazon.com. Instead of waiting until the end of the month, fans of the lore of Diablo will be able to jump into the story next week!